Genuinely re-using materials after the consumer has finished with them makes sense for the whole fenestration industry, argues Andrew Mole, Commercial/ Recycling Manager at Merritt Plastics. One of the buzzwords of the past couple of decades has been ‘recycling’ but there are, I believe, profound differences between the genuine re-use of materials and recycling in name only. By this, I am referring to the difference between ‘upcycling’ and ‘downcycling’. Many of the activities which are badged as recycling are actually ‘downcycling’. Whilst the materials are being diverted from landfill, frequently they are processed into lower quality materials due to contamination or concerns regarding consistency. Here at Eurocell, through our recycling division, Merritt Plastics, we ‘upcycle’ old PVC-U windows & doors. We recover other recyclable materials, such as metals, and remove contamination through a variety of processes to produce products ready for extrusion. We then extrude this material, manufacturing new doors & windows that perform far better that the old ones. We also do it all in the East Midlands, keeping the carbon footprint of our products to the minimum. 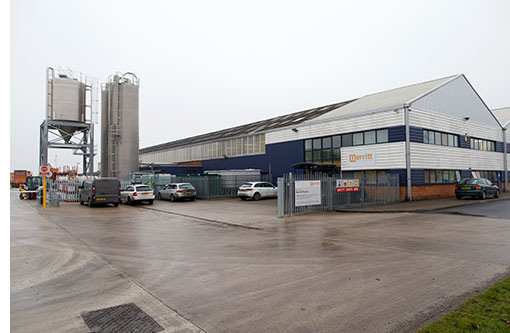 We have one of the UK’s largest recycling facilities for PVC-U doors and windows here in Ilkeston – and we have just invested heavily in increasing its capacity. We have sophisticated systems for managing the recycling process and for quality assurance, so we can trace every kilo of material from the moment it comes through our gates to the time that it leaves. All the PVC-U that we recover is used in our own Derbyshire plants. Some is re-purposed at our own Ilkeston plant, where we manufacture the Cavalok cavity closer and trade extrusions, while the remainder goes to Alfreton, where it is extruded into profiles to make products such as the Modus window system, and thermal inserts. We then sell these products through our 160 plus branches of Eurocell Building Plastics. Everything that we do is in the UK, so it is traceable and it has a minimal carbon footprint. 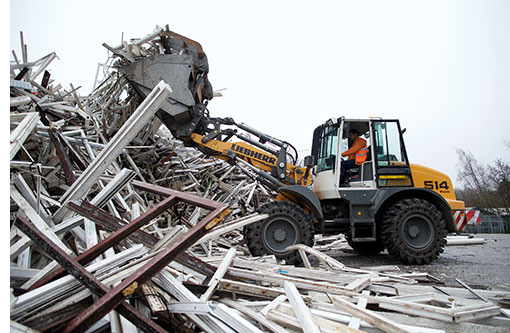 We go the extra mile, literally, by collecting PVC-U waste from fabricators free of charge for processing at our recycling plant, or directly from trade customers, so they do not have to pay costly landfill charges. We would not compromise the quality of our products and we do not have to: PVC-U can be repurposed up to 10 times without any deterioration in its quality or performance, though not appearance. So, we use ‘post-consumer’ material to make doors and windows that are superior by every measure to the products that have been re-cycled. They are more attractive, more secure and more thermally efficient. We call this process ‘Closed Loop Recycling’ and you can see it in action on our sustainability pages here. Recently a new term has come into use: the Circular Economy. The principle is common sense, it states that if an industry relies upon resources that cannot be renewed then it limits its own growth. If, instead, you can use re-use material, then your growth is unshackled from these resources. The US consultancy McKinsey & Co put out a report that calculates that the Circular Economy could be worth €1.8 trillion net economic benefit in Europe alone by 2030. But the bottom line is that the PVC-U industry is an ideal position to improve its profitability, cut its costs and be seen to be acting responsibly by re-purposing material that would otherwise be waste. There are very few propositions that can offer win-win-win, so this should surely be the aspiration for any industry that wants a long-term future. To learn more about Merritt Plastics recycling capabilities use our quick contact form here.